….anddddd here’s the other Alexander Wang bag. Isn’t she a beauty? I spotted the bronze iridescent leather and knew it had to be mine. It was love at first sight. 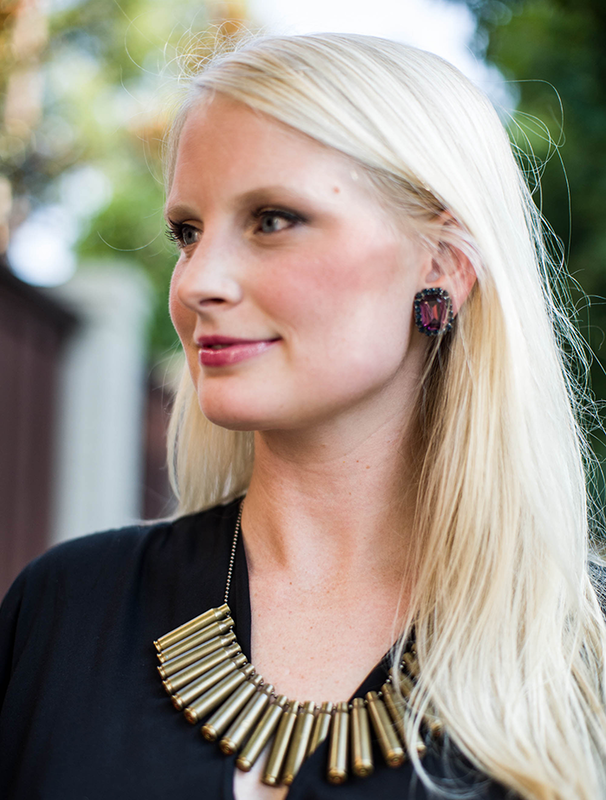 The black hardware rounds it out to make it the perfect fall accessory. I plan to wear it with everything – black, grey, navy, forest green, you name it. It’s a smaller style than the green one, so it can work as a day-to-night bag too! 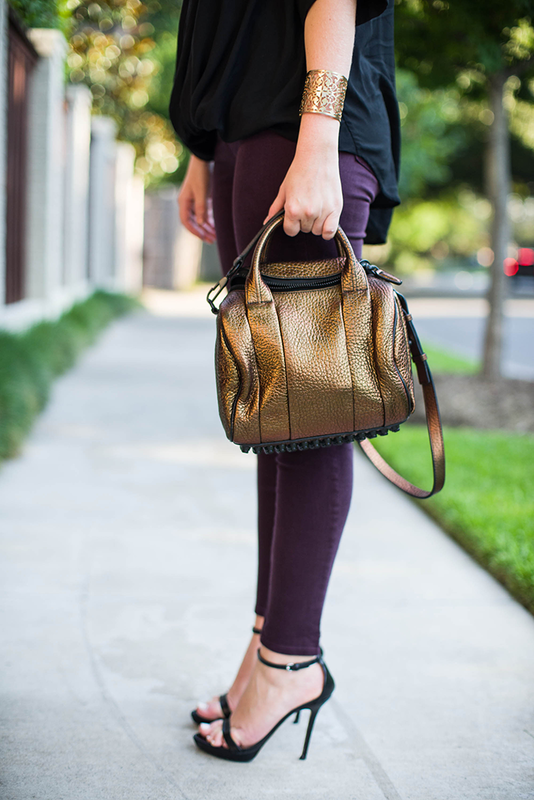 Ok, I’ll stop gushing – but really, you need this bag. 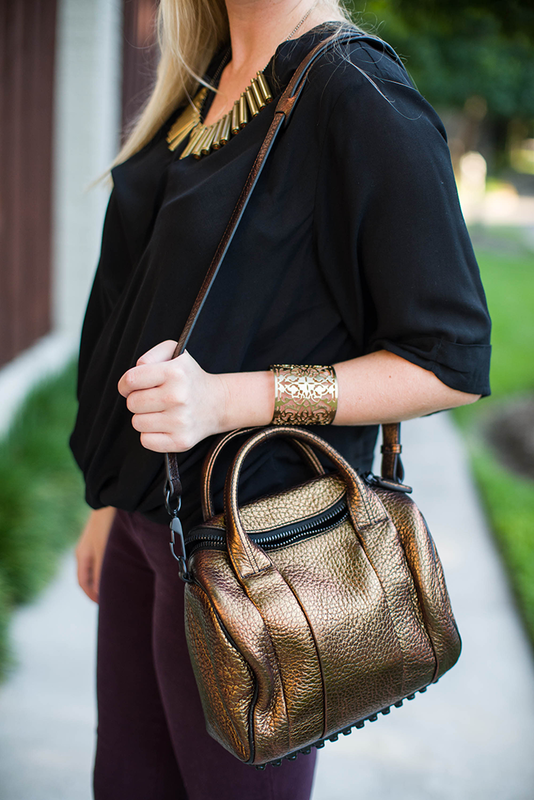 Plum is definitely at the top of my shopping list for fall – it looks gorgeous here with your metallic bag! 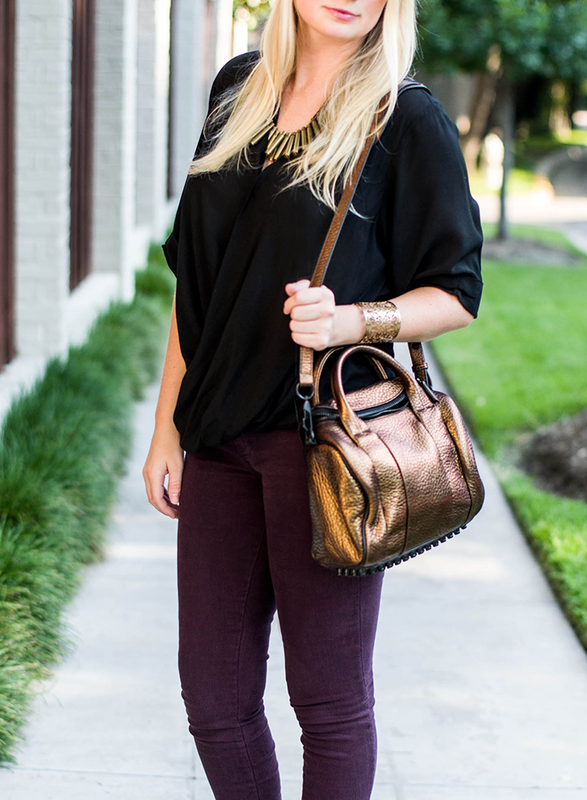 LOVE the mix of plum and black and that bag is is killer. The bag is perfect…great color choice. Someone’s ready for Fall! And my goodness two fabulous Alexander Wang bags in one week… So jealous Merritt! btw – are those shoes comfy ? This outfit makes me want fall! But seriously, it’s still technically July. I should savor the summer. Your bag is gorgeous!! LOVE!!! This is amazing, and since it’s already feeling fall like in Chicago, these colors are definitely on my brain! The bag color is amazing! I love how you coordinated the colors. your making looks gorgeous! do a beauty post, hm!? I absolutely love this plum color! Lovely outfit. Hello hot stuff! You look amazing!